Select a color Silver Copper Gold CUSTOM - message me! 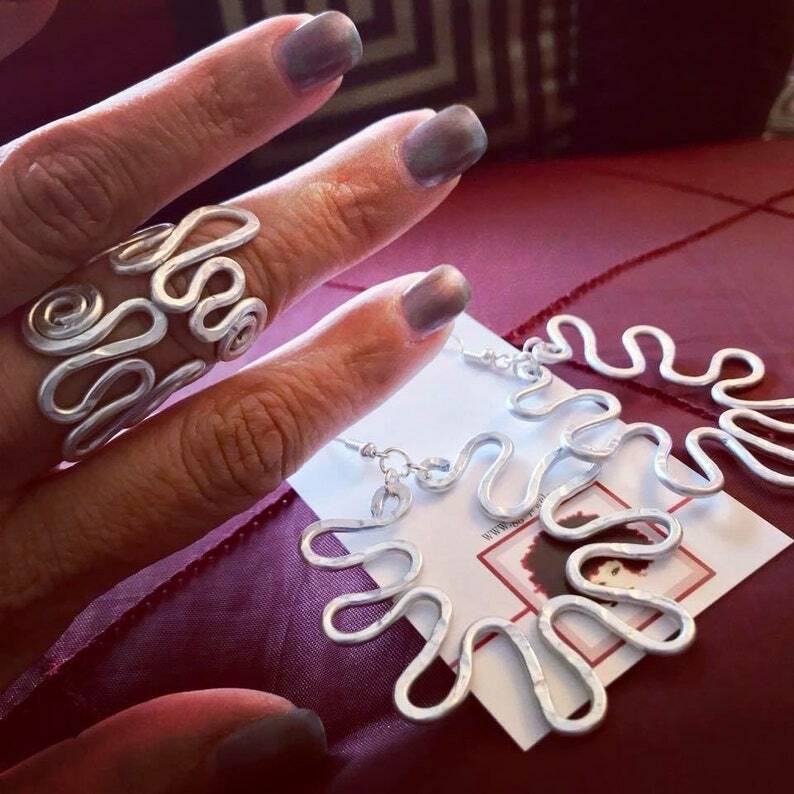 This listing is for one pair of hammered aluminum earrings style as shown, and a matching adjustable ring. 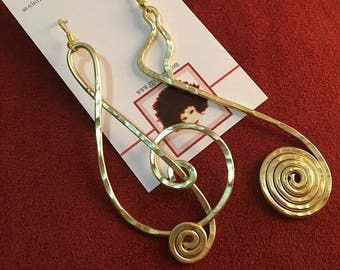 Earrings hang approx 2.5". Please note that due to the abstract nature of wire-work and my creative process, the custom items ordered will be similar, but not identical. This makes for true one of a kind wearable art!